Our latest Edition to be transformed from its humble origins is HERITAGE, a classic-inspired Grigio Cenere and Chawton White Station Wagon. 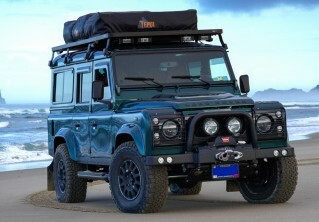 Through a careful design consultation and sympathetic restoration, the result pays homage to the iconic Defender form but now boasts additional capabilities with overland upgrades and a completely refurbished V8 engine. From start to finish, the Arkonik process was a blast ... it’s a lifetime purchase, an instant heirloom and I look forward to owning it forever and teaching my son to drive it. 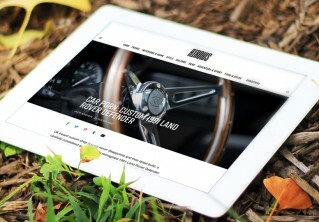 “From start to finish, the Arkonik process was a blast — speaking with their team members about each and every feature, receiving and reviewing samples of paints and leathers and other trim details, and discovering the combination that best reflected the type of Defender I’ve always imagined owning. It’s hard to imagine buying it any other way — it’s a lifetime purchase, an instant heirloom and I look forward to owning it forever and teaching my son to drive it”. Check out HERITAGE D110 Edition here or contact us for more information.